Shane van Gisbergen has been fined $1,000 following a near-miss with David Reynolds in practice at Symmons Plains on Saturday morning. Reynolds was forced to brake and swerve to avoid contact with the back of the Red Bull HRT entry through Turn 3. Both had started hot laps, but the Kiwi decided to abort his run midway through the right-hand sweeper. 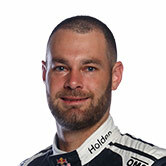 Following an inquiry requested by Reynolds’ Erebus team, van Gisbergen was fined $1,000, half of which is suspended. Speaking directly after practice, van Gisbergen had shrugged off the incident. “I mucked up my lap, and carried on, the corner was ruined,” explained the Kiwi. Van Gisbergen will start the afternoon’s 120km race from ARMOR ALL Pole Position, having made the best of the multi-stage qualifying session that followed Practice 3. 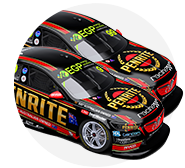 Reynolds, who is second in the championship behind van Gisbergen, is set to start sixth. The practice near-miss is the latest chapter in a rivalry between the pair which stretches back to an incident at Phillip Island in 2015 that took Reynolds out of title contention. 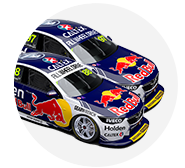 Van Gisbergen is renowned as being one of the most aggressive drivers in the field and, according to commentator Russell Ingall, Reynolds must stand up to his rival. 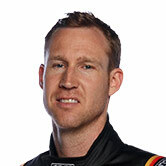 “I would have fired him [van Gisbergen] straight off and copped the fine,” said the outspoken 2005 Supercars champion.